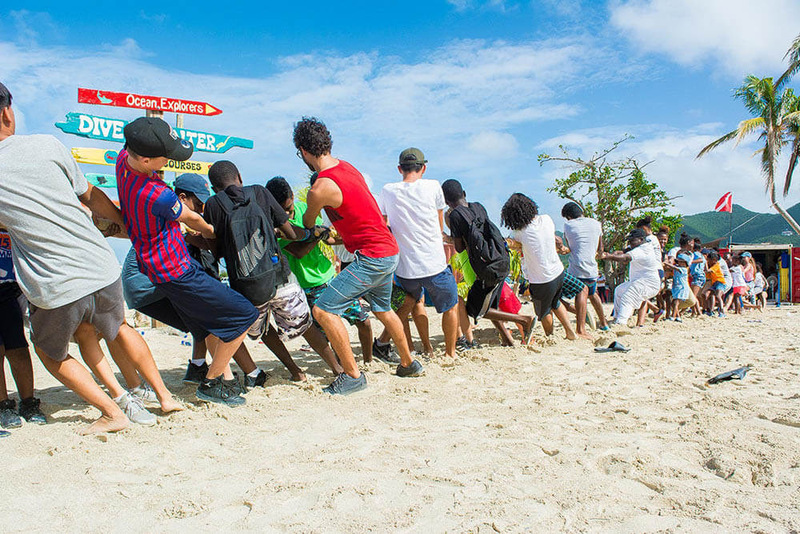 This weekend, the St. Maarten Regatta organized the 6th annual Beach Clean-Up which took place at Kim Sha Beach. Over 100 children participated in the event, collecting over 450 kilos of garbage from the beach. The morning was filled with all kinds of activities from cleaning the beach, to a quiz about the environment and beach games. The morning was kicked off with the Clean-Up Challenge. During the challenge the participants were divided in teams of 3 and had 30 minutes to collect as much garbage as possible. 4Ocean provided all participants with trash bags and gloves to safely pick up the debris. The team that managed to gather the most trash won a "Paradise Day Sail for 2" sponsored by Random Wind. As part of the Clean-Up Challenge, children had to look out for special treasure chests. The treasure chests contained prizes from the Scuba Shop, the Nature Foundation and Ocean Explorers. After the horn blasted for the end of the Clean-Up Challenge, a quiz about the environment was held. 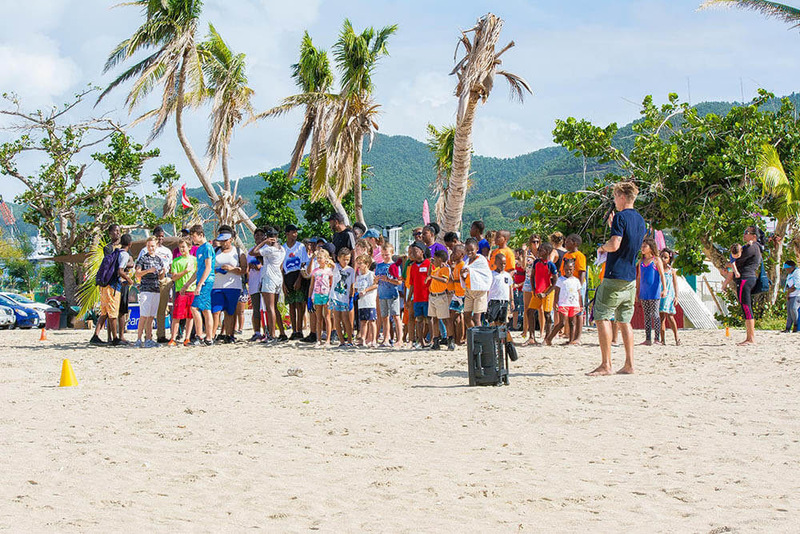 Before the Clean-Up, Tadzio Bervoets from the Nature Foundation gave a short presentation about the importance of our beaches, the plastic problem and sea turtle nesting. The quiz showed who of the participants had paid the most attention during the speech and answered all questions right. The winning group received a prize sponsored by the Nature Foundation. After the quiz, LAB sports hosted some sports activities to close off the morning in a fun way. Children could play beach soccer, dodge ball, tug a war and swipe beach. Just before everybody was about to go home Domino’s paid a surprise visit and provided all the hungry mouths with some freshly baked pizza. During the event participants enjoyed the water, drinks and other prizes sponsored by Fiji Water, Funtopia and Intertoys. "After the hurricane it is extra important to keep our beaches clean. It was wonderful to see so many children willing to contribute in the restauration process." Said Maxim van den Pol, coordinator of this year’s Beach Clean-Up. 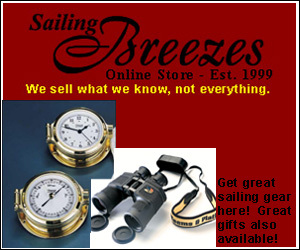 "The annual Beach Clean-Up is a way for the St. Maarten Regatta to give something back to the Island. I would like to thank everyone who took part in the event. It is amazing to see that we collected so much garbage. It might be a small contribution, but all the little bits help!" 38 years strong and it just keeps getting better. Four days of world-class racing with some of the world's most seasoned sailors, from more than 35 countries, sailing Maxis, Monohulls and Performance Multihulls to holiday-makers on chartered Bareboats and live-aboard families cruising the Caribbean. Crystal clear waters and cooling northeast trade winds give the pristine conditions for spectacular racing just off the coast of St. Maarten. And with Heineken as title sponsor, the racing days blend seamlessly into four nights of exceptional parties. This event is your bucket list must-do! Come and enjoy life in the Caribbean, come for some Serious Fun from March 1-4, 2018! 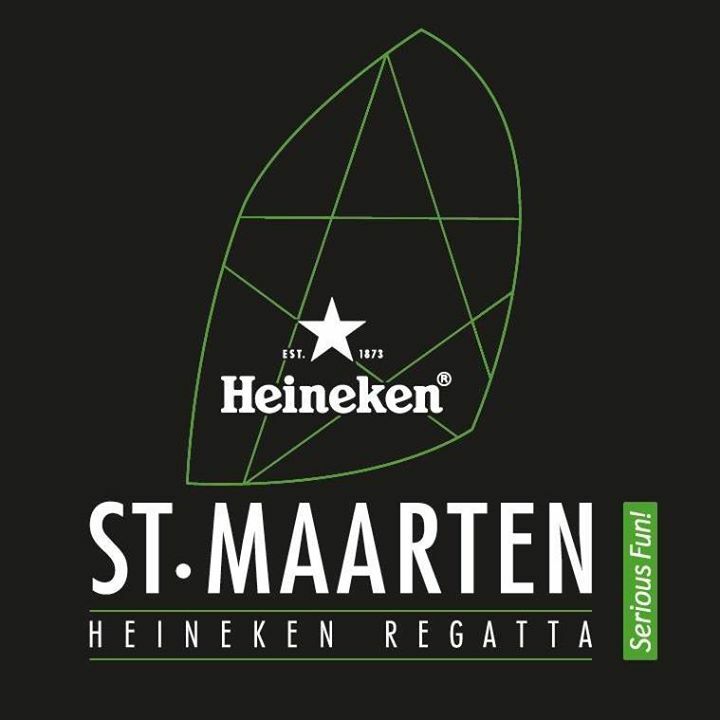 For full information on the St. Maarten Regatta, including results, photos, videos, party- and band information, and much, much more, visit www.heinekenregatta.com.